Finishing as per customer requirement. 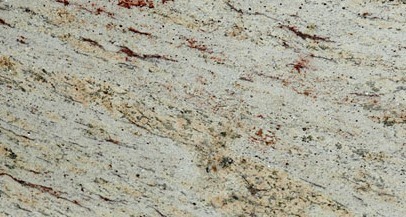 Used for Commercial & Residential, Interior & Exterior, flooring, cladding, countertops, Vanities, etc. Rajnigandha Marble Private Limited (RMPL) is one of the leading Manufacturer of natural stones in India. RMPL has its processing units in Kishangarh and Bangalore. RMPL, have fully mechanized Tiling Plant, Marble Gang Saws, Granite Multi cutters at their factories to process various marble and granites Right from the quarries to processing plant and finally to the clients, Our Staff attitude of working together for producing better quality is an asset. This vigilance has a front role in growing list of our clients. We understand that our reputation is only as good as the reputation of the materials that go into our products. That's why our products are used in esteemed organizations. If a unique application requires a specially formulated material, our technical staff will assist you in developing a compound to your exact specifications. We engaged in Manufacturing an exclusive collection of Vitrified Marbles, Granite Texture, Vitrified Granites, Marbles Slabs, Green Marbles, Onex Marbles, Sandstone Slab, etc. These products are widely demanded in residential and commercial sectors due to their smooth surface, mirror polish, remarkable strength, superior crack resistance, mesmerizing patterns and competitive price. Under the leadership of, “Mr. Vinit Agarwal”, who has immense experience in this domain with which we have been able to gain the confidence of our clients.